What an amazing day we all had!! 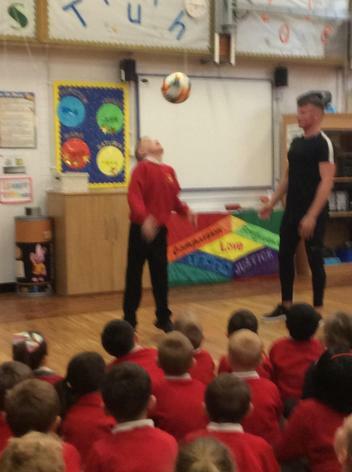 We started with an assembly where Jamie shared his experiences and stories with us, along with teaching a couple of the children and Mr Mason some tricky new skills. 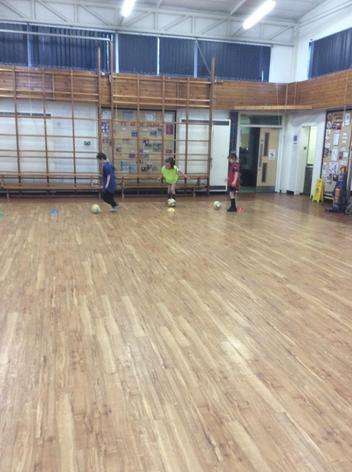 Moving on from this, to sessions throughout the day across all ks1 and ks2 classes. The children were totally engaged throughout the day and have given some lovely feedback to Mrs Wilton which she will pass on to Jamie. 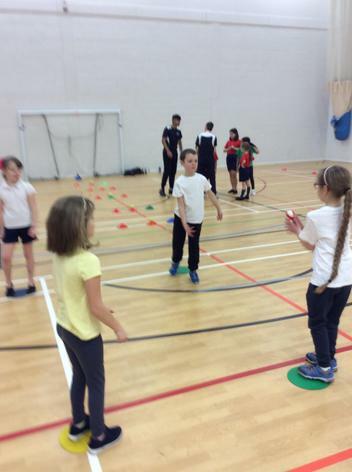 On Wednesday morning Mrs Wilton and 6 year 4 children attended a multi-skills event at BRFC. We did not know what to expect but were looking forward to the event. Upon arrival we were split into groups with two other schools and then into mixed groups of 6 . 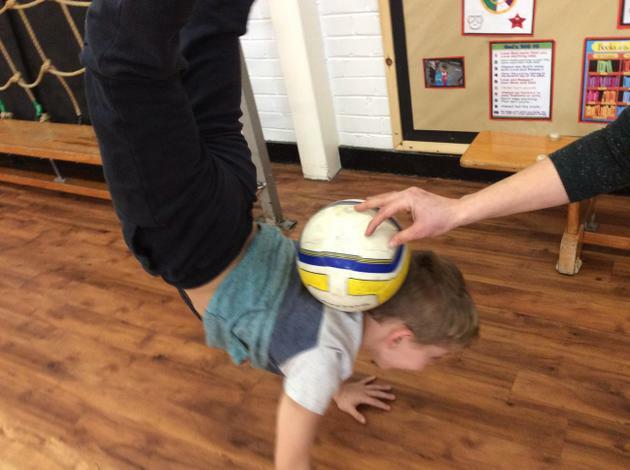 The sports on offer included boccia, dodgeball, handball and football. 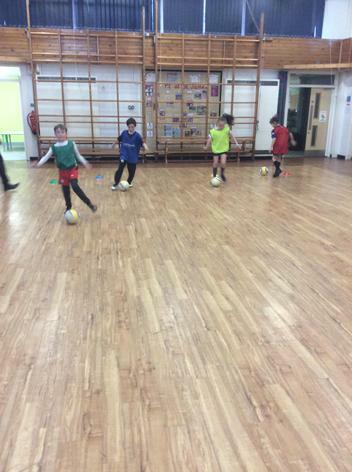 All our children worked really well with the others and took part to the very best of their ability in all sessions. We returned to school with chests full of "well done!" stickers. On Thursday 26th March, Mrs Wilton and Mrs Jacques took 14 children to our second cross country event of the school year at St Peters, Darwen. It was a dry day and the course looked good. There were lots of children from the other Darwen schools all excited and ready to run. Our Year 3 and 4 girls ran first followed by the 3 and 4 boys. All the children ran extremely well with Ryley currently placing 14th in the boys leader board after 2 races. The year 6 runners were up next on a slightly longer course. They had watched the first 2 races carefully and adapted their runs accordingly, waiting back from the first mad rush and picking up places later in the race. Again, all the children ran extremely well with Rory coming in 6th and currently placing 6th in the boys leader board after 2 races and Precious having an amazing run and finishing in 2nd place. Unfortunately, due to the fact that Precious was unable to run in the first race she has not placed on the overall leader board for the girls. We have one more race to come and with our team improving with each run, we can expect fantastic results in the cross country event this year. On a lovely sunny afternoon, Mrs Bibby and Mr Mason took 10 children from Years 5 and 6 to Feniscowles Rec to compete in the orienteering competition. The teams got off to a great start, working together to read the map and sprinting to each point. Each pair worked very well together and showed excellent attitudes and persevered really well. We are waiting to hear on the final results by email but the children should be very proud of their efforts and the way in which they represented our school. Well done to all the orienteering team! 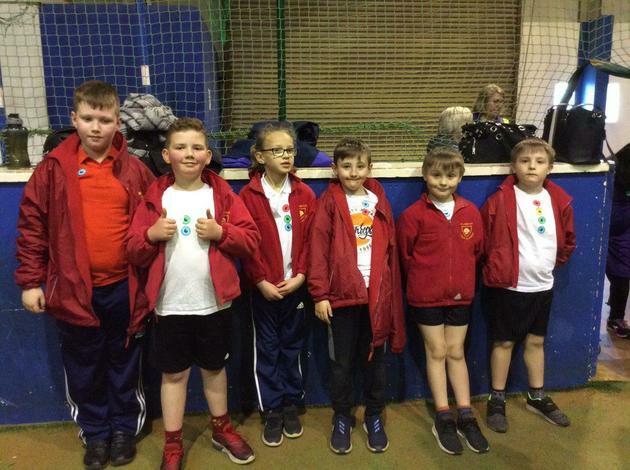 On Friday 15th March, St James' swimming team attended the Darwen Primary Schools Swimming Gala at Darwen Leisure Centre. St James' had a team of 9 swimmers - 5 girls and 4 boys, consisting of a mixture of club swimmers and novice swimmers. Some of the children involved had only recently learned to swim within the last 12 months and did the school proud with their enthusiasm and team spirit. Despite their very best efforts, the girls team failed, on this occasion, to reach the finals. The boys team performed really well and placed 4th in the back stroke heats, 2nd in the Breast stroke heats and 6th place in the Freestyle relay. This meant a number of finals for the boys even though Louie had convinced himself there wouldn't be any! All our boys gave their very best in the finals and they we all very close. We finished with a bronze medal in the backstroke after a tense wait for the judges call. Well done Louie! This was the long awaited, very illusive achievement for St James' swim team. Caden and the boy's freestyle relay team were also up against some very tough competition and despite their very best efforts and close finishes did not manage to place in the top 3. The whole team performed exceptionally, we may not of achieved a haul of medals on this occasion but the personal achievement milestones of our novice swimmers were just as amazing. Well done to all the team for their super efforts on the night against some outstanding competition. 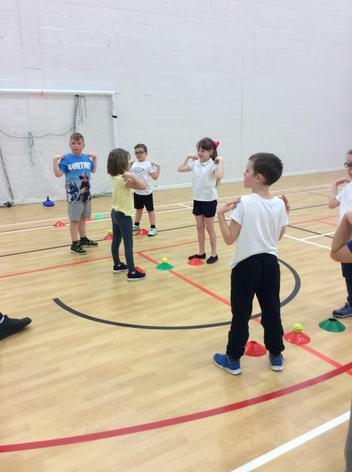 On Tuesday Mrs Wilton took a group of year 3 children to a Change 4 Life Festival at Blackburn College. The children were a little nervous but also really excited. We had no idea what to expect! Upon arrival we were shown into an enormous sports hall, filled with lots of exciting looking equipment. The students who would be helping us were very kind and made us all feel very welcome. The hall soon filled up with lots and lots of other children from schools all around Blackburn and Darwen. 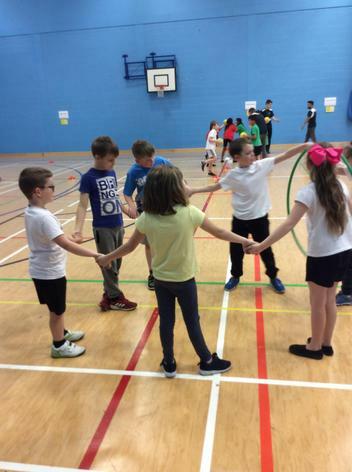 We moved off in our group to take part in a circuit of skill based games that included, running, jumping, throwing, catching, balancing, teamwork and having lots of fun. The session was over before we knew it and all the children had smiling faces and red cheeks. They said it had been "Amazing", "Good fun" and "The best day ever!". The children were an absolute credit to St James' and their determination to take part and give their all with such positive attitudes made Mrs Wilton very proud. A huge thank you to Mr Mercer and the team at Blackburn College for a fantastic event! 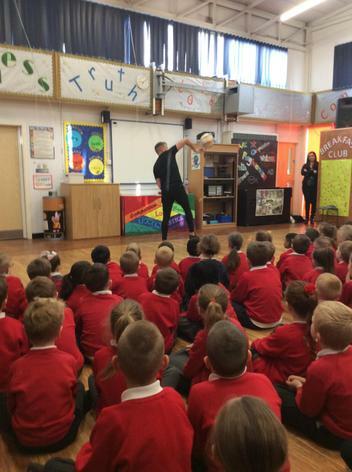 Can we say a huge THANK YOU to Miss Bryan for organising free tickets to a Blackburn Rovers Match at the beginning of April. She has worked really hard to get all the letters and details together in order to be able to give our children and their families and amazing experience. We have been inundated with replies and at the last count we were asking for over 160 tickets!!! We look forward to hearing all about this after the Easter holidays. Please read our 'out of school' sports news. A perfect way for girls to stay active throughout the summer! Mrs Wilton and a number of children from year 3, had an amazing afternoon at Blackburn College. 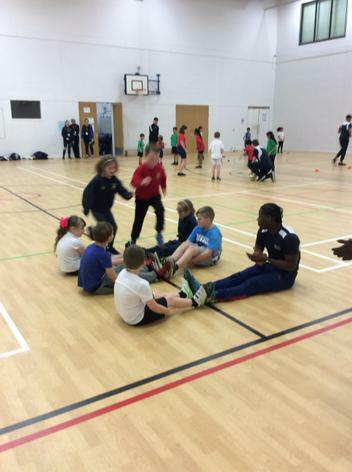 They worked closely with the young leaders on a number of multi skill based activities. There were lots of pink cheeks and smiling faces at end of the event and Mrs Wilton was very proud of the way the children had given it their all. We have also been very lucky to enlist the help of a professional running coach, Mr Bibby, who will be working with our cross country squad this term. 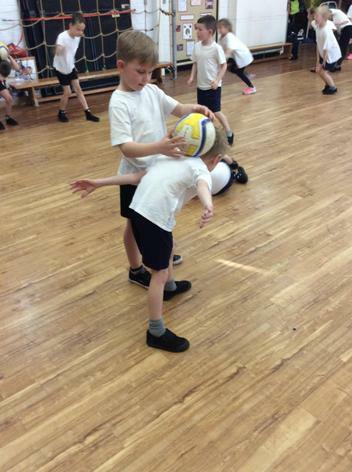 They will be working on the technique and their stamina throughout this term. 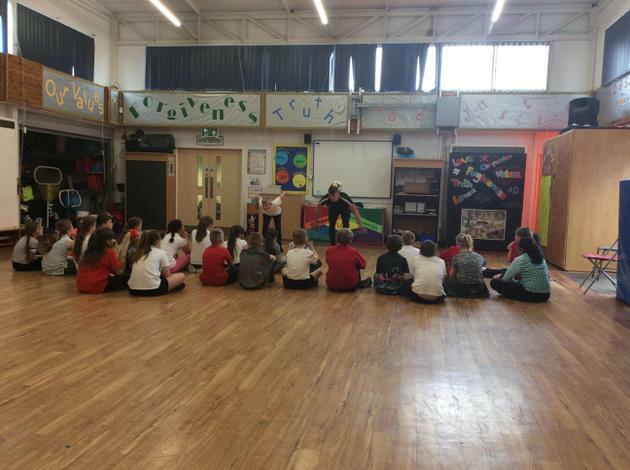 Year 5/6 gymnastics club is also underway and the team for this competition, later in the year, will be selected from the children who attend. Our year 3/4 competition date has just been received and team selection for this will be made next week. Our Boccia team have qualified for the BWD schools finals and Mrs Pratley will be escorting them to this event in a few weeks time. 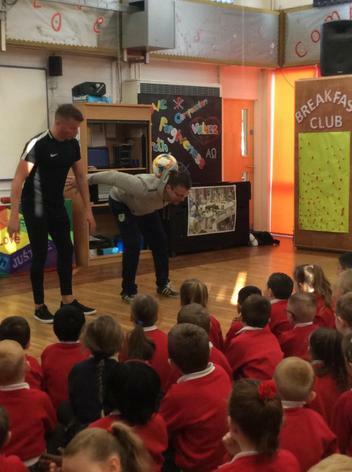 Mrs Pratley will also be selecting a swimming squad for the gala at Darwen Leisure Centre, on the 15th March. 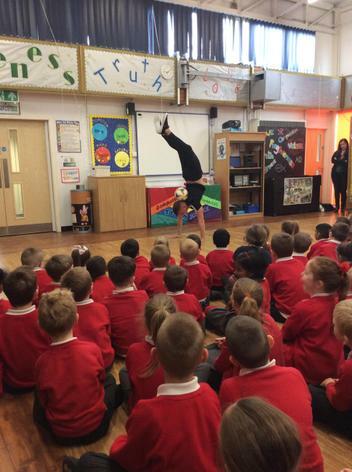 On Wednesday afternoon, Miss Kelly took 4 children to St Bedes for the Year 3/4 Gymnastics Competition. She was very impressed with them and said they showed huge potential. Although we didn’t manage a top 3 place the performances and commitment of the children was outstanding. This, coupled with the amazing performances at J-Factor last night mean that our chances for medals at future competitions look good! attended the Sports Hall Athletics Competition at Darwen Vale. The children were all super excited and a little nervous. 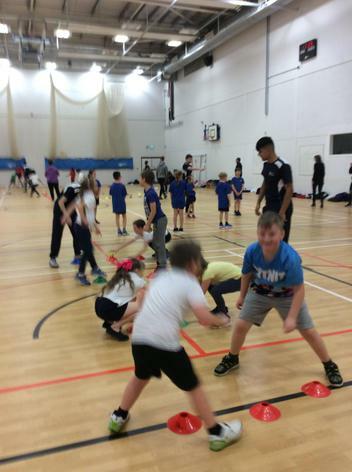 There were 7 schools attending the event and the sports hall was packed! Our team performed to the very best of their ability at all times and were super supportive of each other. The competition was soon in full flow with events such as running, obstacle relays, over under relays, throwing and jumping. We really could not have asked for any more from the team. 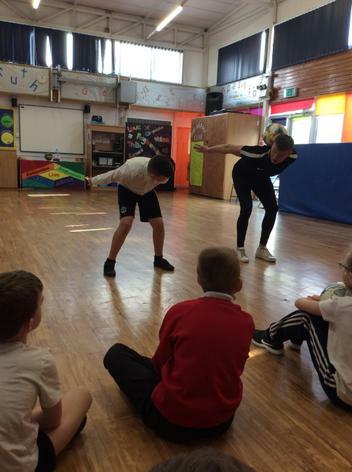 determination and sporting attitudes of the St James’ children. Well done! The Boccia team were invited to attend the County Finals after finishing the Primary Schools League in 3rd place. 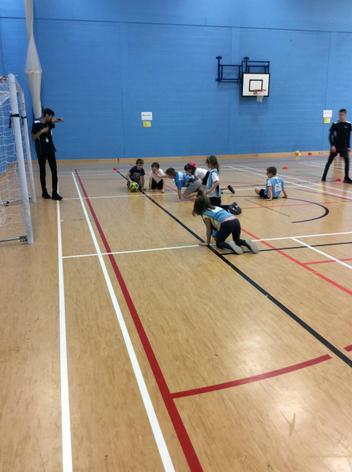 The Finals took place on Friday at the Sports Hall attached to QEG’s, Lammack Road, Blackburn. On a very snowy morning the team arrived at the venue, eager to get started. Unfortunately the start was delayed due to others struggling with the weather conditions. The team used this time to get in some practise. 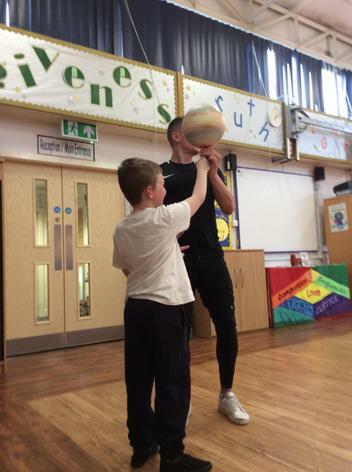 In the league, St James’ Jets played, they were the only Primary school but they really tried to keep focused. Their first match resulted in a 14-0 win against Mayfield Allstars, their second against Moor Hey Strikers and third match against Coppice Dynamo’s was very close, but due to some clever last minute tactics lost 3-5 and 2-3 respectively. Our result of 3rd in the league didn’t achieve a place in the Regional Finals this time so unfortunately this is where our campaign finishes for this year. Well done to the St James’ Jets – Keira R, Ellis C, Owen F and a special thank you to Mercedes H for stepping in at the last minute. Since the beginning of the school year 7 children from Year 2, 10 children from Year 4 and Year 5 have been attending Splash weekly for swimming lessons. 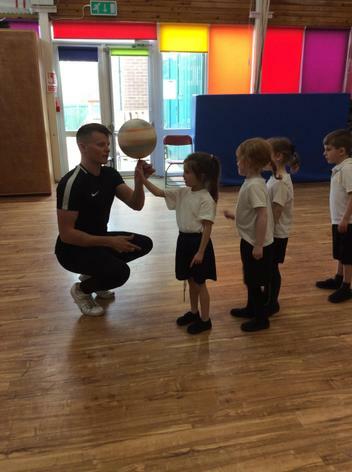 All the children have shown great improvement, impressing both Mrs Robinson and Mrs Pratley. Within these groups there were two children who stood out for their level of improvement. They are Charlotte and Gabriella from Year 4. Neither of these girls had ever been swimming before so had very little water confidence. Both girls have improved week on week resulting in distance certificates. Well done to you both and all the swimmers. St Bedes. The sports hall was full of children and buzzing with excitement. We played 6 matches in all winning 4 and losing 2. 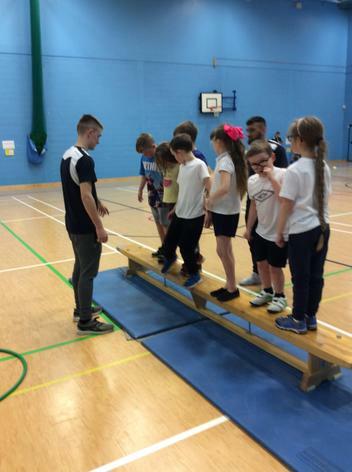 The team performed really well and enjoyed the experience of taking part in a sporting event. 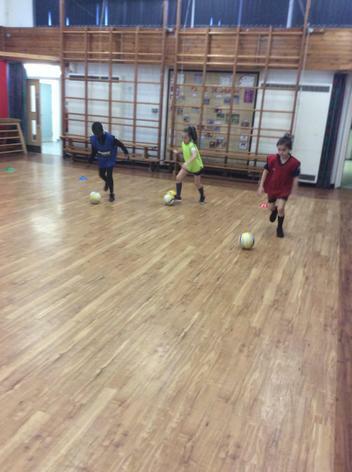 On Tuesday evening 8 girls from years 4, 5 and 6 went to play football at St Bedes. It was very cold and very wet! The girls played really well and a huge thank you to Poppy for stepping in at the last minute to cover for one of the year 5 girls who was unwell. There was a super team spirit despite the cold and wet. We Won 4 matches and drew 1 finishing with 10 points. This meant we had finished second on the night and qualified for the finals night. Thank you to Daisy’s mum for help with transport and to Mrs Wilton and Joel for taking us. 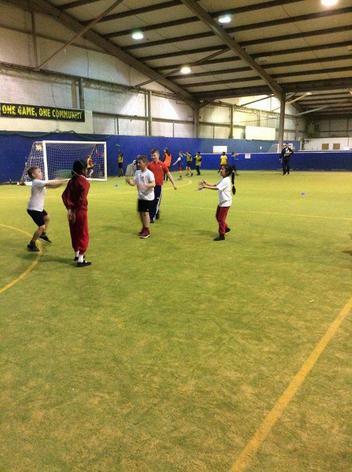 On Wednesday afternoon, 16 year 5 and 6 boys attended a football tournament at Blackburn Rovers Indoor Centre. Our two teams played a number of games throughout the afternoon and performed really well. Attitudes were good at all times and effort was brilliant. Red team finished 3rd and yellow team finished 6th. There were some outstanding performances from both our goal keepers along with some spectacular goals. 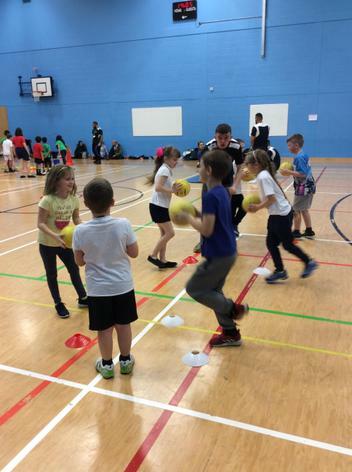 And finally, our KS2 children have been taking part in our first sporting challenge – speed bounce – over the last few weeks. Our winner was Millie from Year 6 with 76 bounces in 30 seconds! Next week’s challenge will be skipping – how many skips in 30 seconds. Well done to everyone who has taken part. Last night Mrs Wilton and Mrs Bryan took 6 girls and boys to a dodgeball festival. They played 14 games, drew a couple and won the rest! 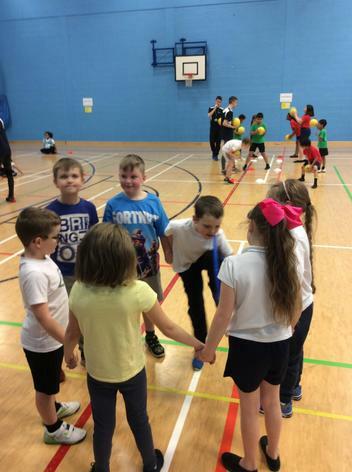 Excellent sportsmanship was shown by all children taking part. Last night, 7 boys attended a football match and won 7 - 4! Jack was in goal and did some awesome saves. Louie and George both scored one goal each and Jude scored 5 goals. All together the team placed 7th in the league. Thank you Mrs Wilton, Joel and Mr T for taking us to Soccerdome. 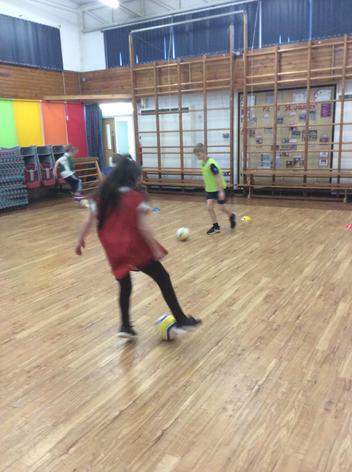 On Thursday our football team – made up of all year 5 children played two more fixtures at DW. 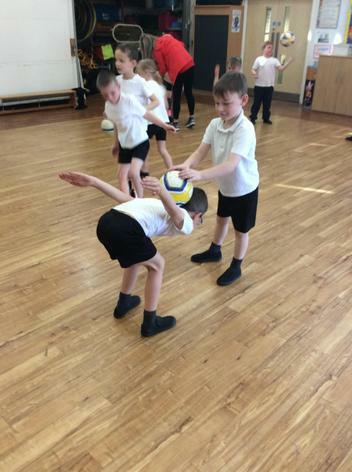 The children had not played together as a team before but were full of enthusiasm. We arrived early and warmed up whilst waiting for the other teams to arrive. Our first match was against St Barnabas. It was a very close match with some brilliant opportunities for both sides. Unfortunately we lost to an unexpected shot from the half way line that took everyone by surprise! Our second match was against Avondale who are currently sitting very close to the top of the league. We had a change of goalkeeper for this match and set off with the same enthusiasm as before. The team tried really hard but Avondale were just too strong for our young, inexperienced team and we lost 5-1. One more match to go next week! The Boccia Team (Keira R, Ellis C and Owen F) attended the first round Boccia tournament on Thursday 4th October. At this tournament they achieved two wins out of the three games played, putting them in second place in league 6. The team attended the second round on Thursday 18th October, feeling very confident. Their first match was cancelled as Wensleyfold School pulled out giving our team 6points. Our second match, lead to our 13 -2 win against Lammack School and our final match in league 6 was a 7 - 3 win against St. Mary and St. Joseph’s. Our first cross country race of the year took place at The Millennium Green, Hoddlesden on Tuesday. Mrs Jacques and Mrs Wilton escorted 16 Ks2 children from school to the event. The course was as close to a real cross country course as the children will get and they were all super excited and ready to go. 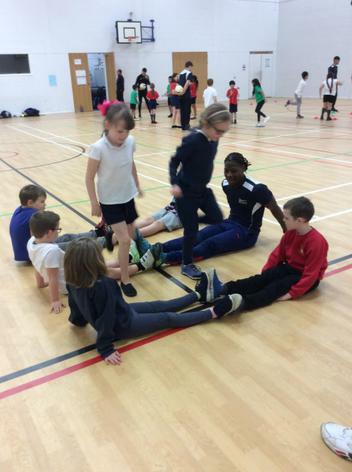 Our Year 3/4 children raced one lap of the course whilst the year 5/6 children had to run two laps. All of the runners showed great determination and resilience during their races, with a number of them finishing in the top ten. A huge thank you to Tegan who stepped in at the last minute to fill one of the girls places. The next two races take place after Christmas and the children will no doubt continue to work hard in their 15 minute runs each day to build their stamina. 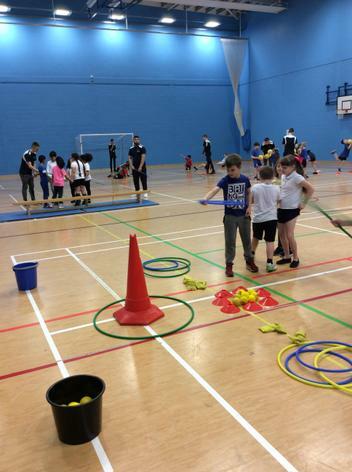 On Friday 12th October, Mrs Wilton and Miss Pratt took 10 year 2 children to QEGs to take part in a multi skills festival with lots of other schools. 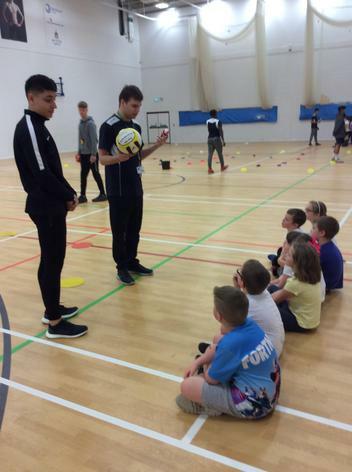 This was also the first outing for our new Sports Ambassadors, Jack and Hsanat, who would be required to help run the event. We arrived to a packed sports hall with an amazing array of equipment set up ready. 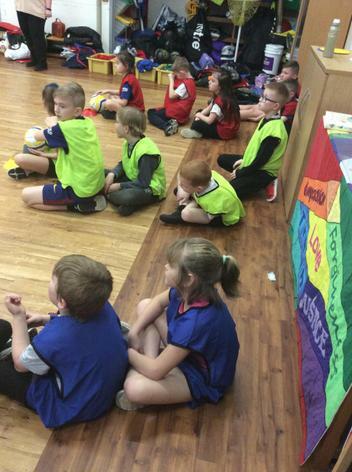 After a short briefing for the Sports Ambassadors, the children were told where to start from and were off!! Lots of fun was had, running, jumping, throwing, catching, crawling, balancing and the children even had their response times measured on a computerised, light up game. 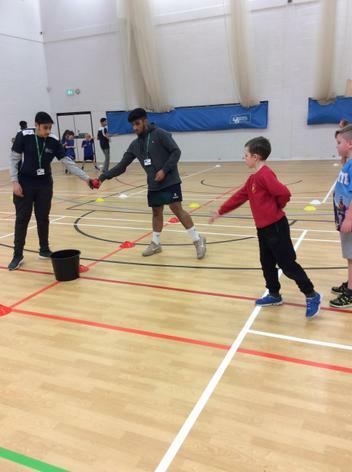 Our two older representatives led the younger children with enthusiasm and set a great example at all times even helping to clear up the equipment at the end of the event when the others had gone. Due to the amazing performance of all the children involved, Mr Mercer decided everyone deserved a medal! It was a very enjoyable morning for all involved. On Tuesday the netball team played their final game at Darwen Vale. We played St Joseph’s and although we had the vast majority of possession, the game resulted in a 0-0 draw. It was a great performance from the girls and Miss Bryan was extremely proud of them. 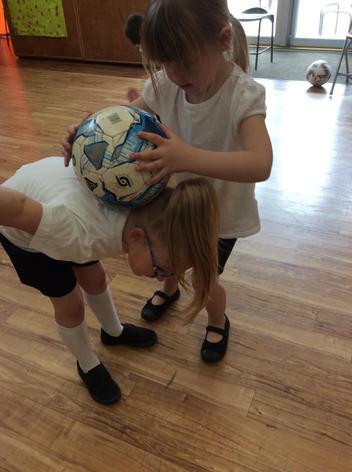 The girls passed the ball well and were really good at getting into a space to receive a pass. Daisy injured her fingers just a few minutes into the game and carried on like a trooper! Well done girls and thanks for your hard work this half term. A fantastic start to our year at St. James’!!! We had the 1st round games of Boccia this week. Our amazing team—Owen, Ellis, Kiera won 2 games and lost one - what a super effort! Well done. Mrs Pratley. 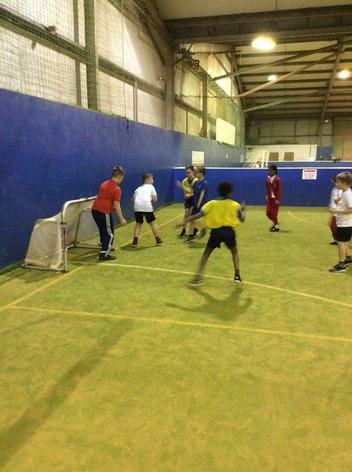 The year 5/6 football team were in action at DW last night. Our first match was cancelled due to the other team not being able to attend - 3 points for us! Our second match was against St. Pauls and we played brilliantly (we were 4-0 up by half time!) The game finished at 5-1 to St. James’. What amazing performances, well done! 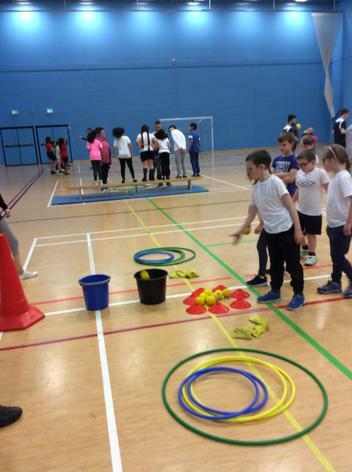 On Tuesday, Millie from Y6 & Mason from Y5, went with Mrs Robinson to a badminton festival. They had a great time, learning new skills and having fun. As it was a festival and not a competition, the matches were not competitive but if they were, we would definitely have won! netball with very few practices. Miss Bryan. The netball team played two matches on Tuesday at Darwen Vale. The girls were in great spirits and once again enjoyed the match experience. We played Sudell first and unfortunately they beat us 2 – 0. We then went on to play St Peters and it was a great game to watch. We beat them 4 – 1 thanks to excellent team work and Daisy’s super shooting! Well done girls and thanks to Mr T for coming to support us. Daisy, Maddison, Porcha, Evie, Poppy, Precious, Hannah, Beth. It’s been a tough start to this year’s football league, with only 1 win out of 4 games. We have faced some very strong opposition but continued to play with determination throughout. A super team effort with some exceptional goal keeping from Jack! 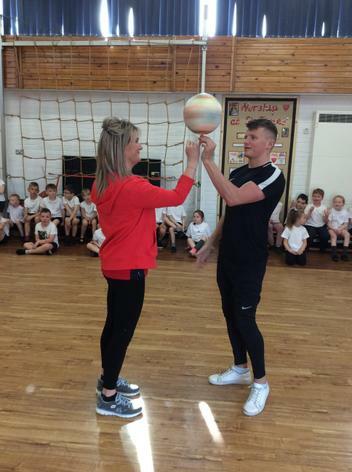 On Tuesday Miss Bryan took eight year fives and sixes to the first Netball league games at Darwen Vale. The girls were very excited to represent the school and this showed throughout the games. We had only had two practices and most of the girls had never played in a netball match before. Once they realised that it’s not like basketball and you don’t bounce the ball we were away! Our first game was against St James’ Darwen and we beat them 2-0. The girls were very enthusiastic and got stuck in! We had possession for the majority of the game and the smiles on the girl’s faces at the end were lovely to see. Next, we played St Barnabus who beat us. The girls remained positive even though they were a very physical side and they had clearly been playing together for a long time. The girls were a pleasure to take and we look forward to our three matches next Tuesday and another chance to represent the school again. Well done to Porcha, Beth, Poppy Y, Evie S, Maddison, Daisy, Precious and Mercedes.